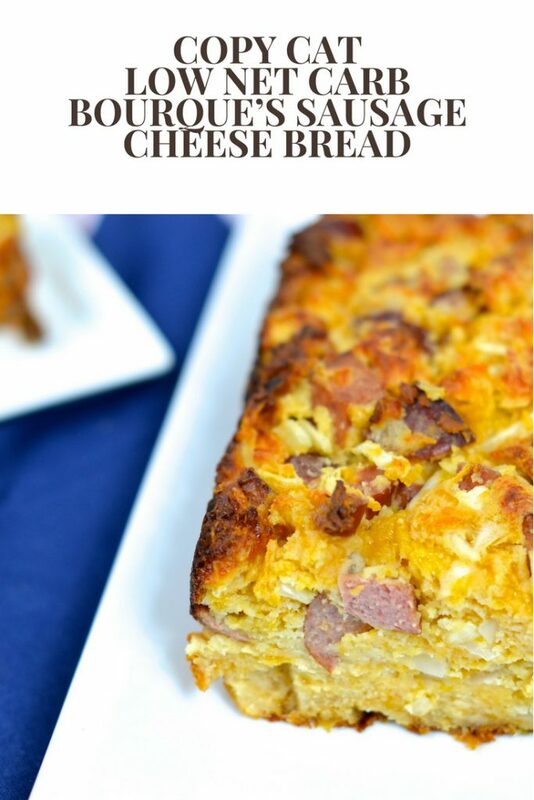 This copy cat low-net carb sausage cheese bread is tasty, contains simple ingredients and is only 2 net carbs!!!! One store. 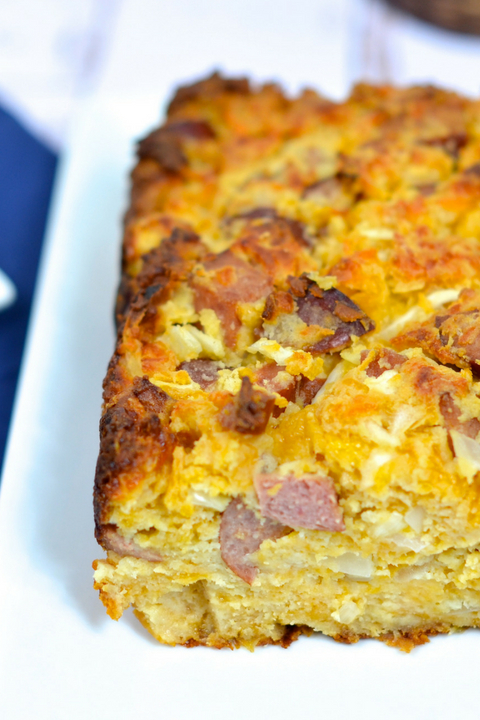 One famous sausage cheese bread. Driving down from I-49 from Shreveport to Houma (my hometown) always involves a bit stop to Bourque’s Supermarket off 190. This tiny supermarket sells a hidden gem, Sausage Cheese Bread. 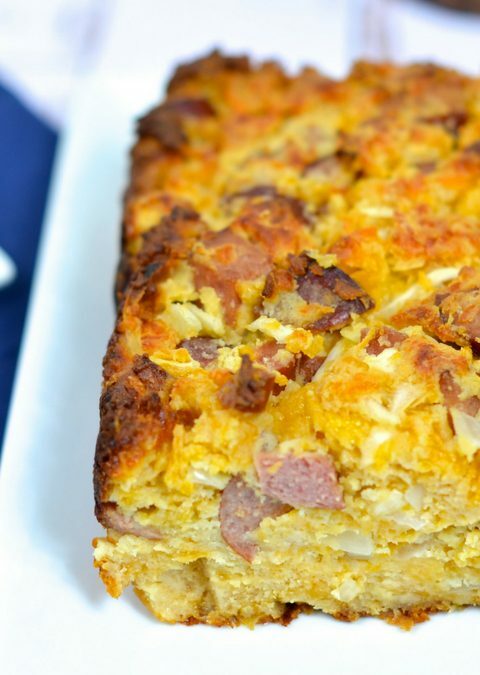 Delicious and often eaten in the car, one of my biggest goals was to give a Skinny Louisiana spin on this yummy bread. 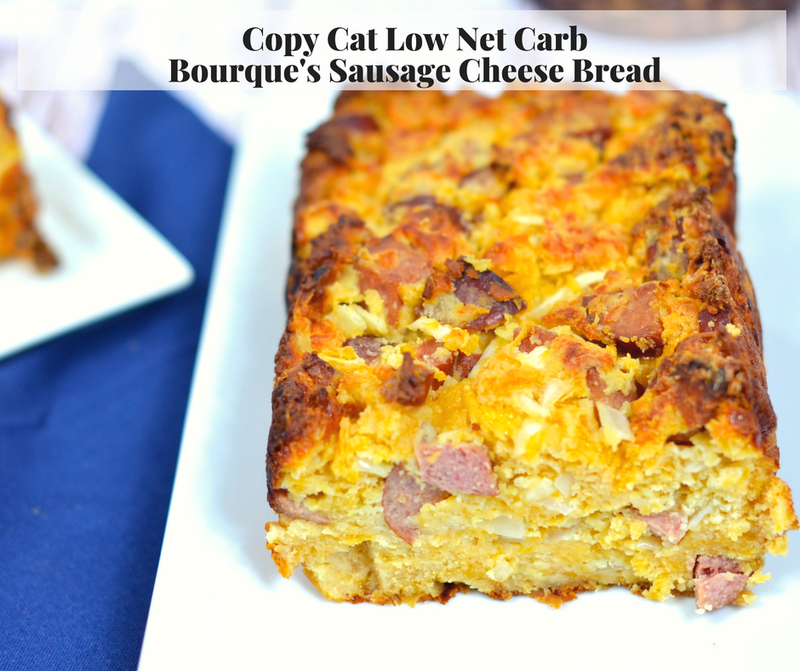 With a few simple substitutions, we are ready to say hello to our Copy Cat Low Net Carb Bourque’s Sausage Cheese Bread. Fairlife milk is ultra-filtrated making this a lactose-free, lower-carb (only 6 grams per serving), higher-protein milk. Fairlife can be used in any of your recipes calling for milk. Preheat oven to 425 degrees. Line 9 inch loaf pan with non-stick aluminum foil. In a large mixing bowl, combine Carbquik, Tony’s Light, and Fairlife. Using an electric hand mixer, beat on low speed for 1 minute. Stir in onion and cheese. Mix until evenly spread. Stir in sausage. NOTE: Mixture will be very thick. No worries, the cheese will melt and hold the bread together. Spread mixture into 9 inch loaf pan. Spray top of mixture with non-stick cooking spray. Bake in oven for 35-45 minutes or until golden brown. Nutrition Facts: Calories: 120, Total fat: 7g, Cholesterol: 25 mg, Total Carbohydrate: 7 g, Dietary Fiber: 5 g, NET CARBS: 2 g. Protein: 12 g.